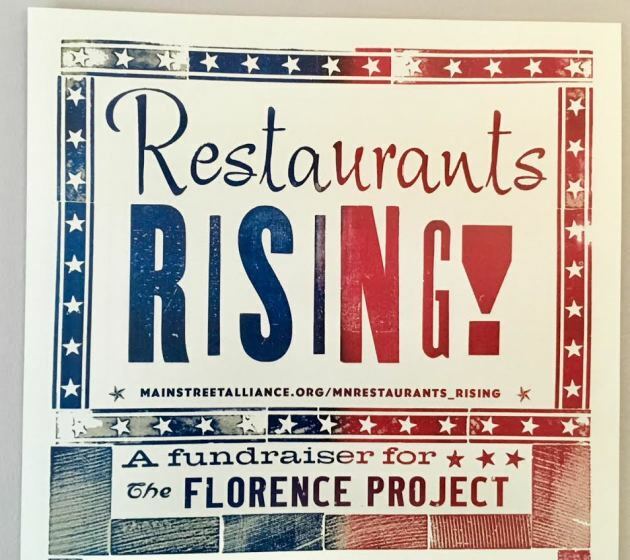 Last year, a group of nearly 30 local restaurants gathered together and created a dine-and-donate event that raised $30,000 for the Immigrant Law Center. This year, the same Restaurants Rising! collective is focusing their efforts – and their generosity – on the Florence Project, which provides free legal and social services to immigrants on the Mexico-U.S. border in Arizona. Here’s how it works: dine on Tuesday in one of the venues listed below, and the ownership will donate a designated percentage of their sales to the effort. Some restrictions apply. Can’t dine out today? Those interested in donating can text “families” to 844-544-7171. A few retailers are participating, too: Bench Pressed is donating 50 percent of online sales, and Fontlove Studio is donating 40 percent of online sales. Gypsy Moon is donating 25 percent of sales and Moon Palace Books is donating 20 percent.